With every passing day, people are depending more on mobile devices. And it holds true for all kinds of works. More so for going online. People love to remain busy while traveling. The internet-friendly mobile devices provide them with this opportunity. However, the problem with the mobile devices is that they do not show every website in a proper manner. Not unless they are designed in a responsive manner to appear perfectly in all internet-friendly devices. That’s why responsive web design is a must-have these days. Giving any website a responsive design ensures that it can be viewed without any hassle in almost all kinds of internet-friendly devices. You can view it on desktop computers or a laptop in a proper manner. And similarly, the website will appear perfectly in any mobile device, such as a cell phone or a tablet as well. This is driving the popularity of responsive web designs to a great extent. However, with increasing popularity, several misconceptions about this form of web design have also emerged. Here’s a quick look at some of these responsive web design myths that have also been debunked. Well, it’s true that the concept of creating responsive design was driven by the emergence of internet-friendly mobile devices. However, that does not mean that this form of design is limited to the mobile devices only. The basic concept of a responsive design is to perfectly fit the device, which is being used to view the website. So, no matter whether you are using a desktop, a laptop, or a mobile device to view the website, a responsive web design should drive better user experience by appearing in perfect shape in all these platforms. Well, this is probably one of the most common issues that are blamed on responsive web design. However, it is not entirely due to the responsive design. Usually, while creating a responsive web design, the designers and the programmers focus more on the responsive part – both the designing and programming aspects of it. Hence, little or no importance is imparted on selecting the fonts properly. 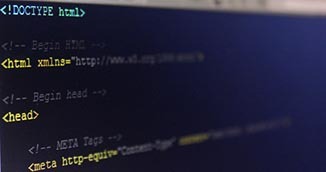 This hampers the readability of the website and hence, the user-friendliness is compromised. However, this has got nothing to do directly with the process of responsive web design. Websites can be given a perfect look with absolutely impeccable font selection even while making them responsive. Although this is actually absurd, this myth is also attached to the concept of responsive web designs. The concept of responsive websites came into being with the view of ensuring that the users can have a better experience. This form of web design is meant to create sites that can be viewed flawlessly across a wide range of devices. So, it is quite obvious that the activity of reading the content will not be obstructed even when a website is given a responsive design. In fact, embedded content can be excellently used in responsive web design. It’s not the fault in the methodology, but in implementation. 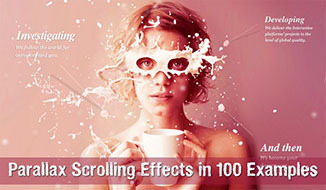 This can be proved by showing a number of websites, which have used responsive web design, but still loads pretty fast. So, it is the designer who has to implement the responsive form of web design in a prudent manner. The pages of the website should be designed with lighter materials to ensure that they do not take a lot of time to load. 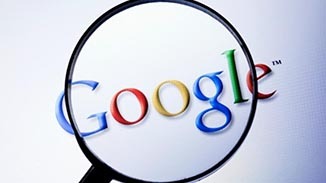 Otherwise, it might result in higher bounce rates, as the visitors will go for other websites. Well, the name of the concept itself proves this to be a myth and not the truth. 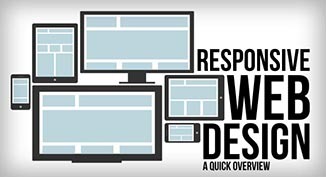 Responsiveness is more about web designing than just dealing with the content. So, it is important to ensure that the designing part is also implemented perfectly while making the responsive web designs. The content repositioning, however, is also extremely important in the process of turning a website responsive. With the rising popularity of responsive web design, more myths are expected to gain ground. It is important that you are aware of these myths to debunk them and create responsive designs for websites in a more effective and efficient manner. This will not only help you design the website in the best possible manner, but will also do away with the chance of falling prey to the common mistakes that are driven by these myths. Accessible, great time and incredible team! My business has boosted incredibly thanks to this amazing team!. I'm so pleased with their work I couldn't recommend it more. Thank you for your awesome work! I've been submitting projects to Creative Concepts for years. I have never been anything short of amazed at what I get back. From video production to graphic design to photo clean up, resolution improvement, arranging and organizing visual effects, the list goes on. I should have him on my speed dial! Creative Concepts did a wonderful youtube memorial video for my grandfather after he had passed. They really captured the life of my grandfather perfectly. I would recommend them for any job. Creative Concepts created a professional website for my Sheriff's campaign. Along with the website, They created multiple YouTube videos which professionally enhanced my campaign. They ensured my web presence with social media sites were very effective. I would highly recommend Creative Concepts for these services! Order your flyer now and have it today if ordered by 2pm. In 1997 I had the pleasure of meeting and working with Robin Williams when he was filming Flubber. What an amazing man. I could not stop laughing. We launched the new ACT II Entertainment website today!! Come and enjoy one of the shows. Copyright ©2013-2019 TheCreativeConceptsTeam.com All Rights Reserved.